I was bound and determined to finally get Calliope’s redo up tonight. She’s been more or less done with the reroot for two weeks, but we’ve had out of town guests, and O! so many things to do that I haven’t polished her off. And I still haven’t. I have plans for her eyes, plans I say! I just fixed the downward glance, that is it. And yes, we sawed her head open, poor girl! And so ya know, this is a Velvet Minuet, rerooted with a pink & black bob. Calliope will be buried in this outfit. 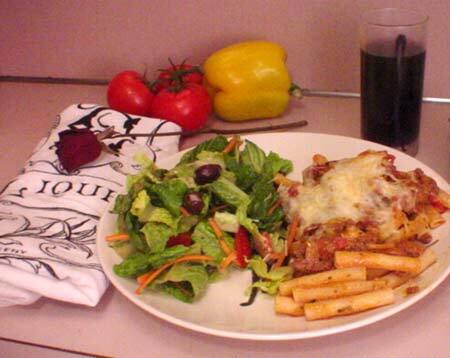 On a side note, I made baked ziti for the season five premier of The Sopranos. It was really easy and really good. And I regret having no pictures of this, but Mr. Kallisti came home excited earlier this week. He’d found a drag queen clothing shop in Berkeley, and knew I would love it. We made it up to Telegraph Ave yesterday and I walked out with two, TWO petticoats. Pink & black. Doh. Girls with assitude must shop with the drag queens. So I’ve been running around the house in a pink petticoat tutu all day… and sweat pants. Woooo! It’s good to be me. Oh! And the good news is, I’ve had a small surprise money windfall and don’t need to sell anyone to get the Silver Snow Blythe. Phew! Who can resist the white hair that maybe at some time in the future could be dyed!?!? You are my dolly idol. 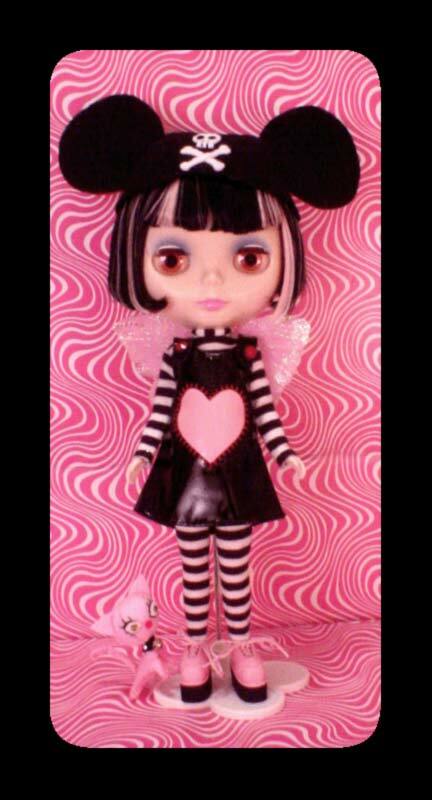 I wanna buy & make lots of new dollies inspired by the wee lasses on your site. Also adding the idea of wearing petticoats on a regular basis…hmm, OK, well, maybe just lots of crinoline for the next Kallisti-inspired doll I have in the works. Cheers!